Get free coaching tips, articles, videos and advice from expert coaches. Why get life coaching advice? Perhaps you're reluctant about life coaching because you think the coach will heap criticism on you. That's not what life coaching is about at all. With life coaching you'll get someone who listens to your thoughts and goals. Then the coach helps you nurture yourself and plan for the future. 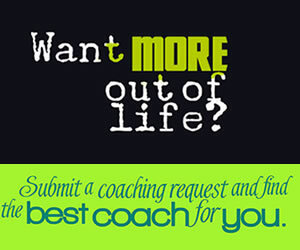 When you seek life coaching help, you're consciously stepping out of your hectic life. Working with a life coach gives you a chance to reflect on your personal strengths and challenges. How often do you ever get time to focus on your wants and needs? Life doesn't stop for you to catch up unless you make it. And life coaching is an effective method for stopping the clock. Then you can discover how to enjoy each day more than ever before. Focus on the positive things	in your life. Pursue goals	that make you happy. Stop putting your energy into toxic situations	or behavior. Build on your strenghts and achieve more. Take care of yourself	better. Tune into things that lift you up. Become confident	about your own ideas. It's likely no one ever taught you how to take stock of your life. Society just tosses you into the current, and it's easy to just flow along. But maybe you aren't satisfied. Maybe you'd like to break a bad habit or connect with your passions. Life coaching guides you through a journey of self discovery. The coach helps you question yourself and honestly assess your answers. Part of what life coaching does is help you make an action plan. You'll learn to apply yourself to what works for your life. And you'll gain the confidence to protect yourself from negativity. Life coaching combines the power of accountability, encouragement and planning to keep you motivated. If you slide back into old habits, the coach reminds you how to try again. Your focus will stay on action instead of excuses. The accountability comes with encouragement. You won't be updating your life alone. You'll have a coach to help you strive for positive change. Clear actions are defined during your coaching sessions so you'll know what to do. Your motivation is constantly strengthened as you follow your life coaching plan. Every step you take toward your goals adds to your motivation. Life coaching gives you skills for creating a positive future. You set goals based on your desires. 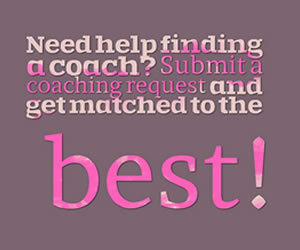 The coach helps you make a plan for suc-ceeding. There's very little energy put into your past. You'll only look back so you can identify the mental patterns that no longer serve you or have been blocking you your whole life. Focusing on the future speeds your transformation. You'll be amazed how liberating this fresh frame of mind can be. So take the first step of your action plan and book a time for a free consultation today. Click on a category to find targeted advice for your self help needs, or browse recent articles. Want to build more confidence in yourself and practice self-love? Check out these 7 methods! How your thoughts on grief can change as time goes on. What are the things that you're saying to keep you "in your comofort zone? Do you feel like you're missing something in your life?